Michael T. Mathis will join us to share his story of survival after being burned over 64% of his body at age 11. He is the founder of the Burned Children Recovery Foundation, a National recovery agency located in the NW that helps young burn victims return to full, productive lives. Have you ever had someone close to you be severely burned? Our speaker today, Michael Mathis had this happen to him at the age of 11 and in 1989, he started the Burned Children Recovery Foundation. Today he will share his story and what he has learned in helping burn patients recover – “From victim to survivor, how you can help”. Cathy Gibson our District’s Peace Builder Chair was instrumental in organizing the Rotary Peace Day Declaration with the City of Seattle today. This was a goal established by our District Governor, Alex Hopkins, to help raise the public awareness on Peace with Rotary and the City of Seattle. Many dignitaries came in support of the Rotary call to action to show their dedication to achieving peace here locally and around the world. 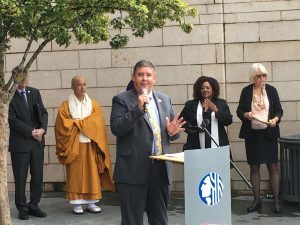 The gathering took place at City Hall in Seattle, where the city’s proclamation was read in recognition of International Peace with Rotary. 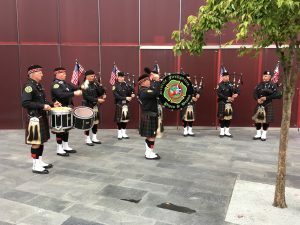 The Seattle Fire Department’s Pipe and Drums opened and closed this special ceremony. Everyone as local Rotarians have an awesome opportunity to recognize and support PEACE within the world in Seattle. We will be gathering at City Hall, Thursday September 21st, 11:30am along with the Mayor, City Council Reps & Guest Speakers to recognize “International Peace Day with Rotary in Seattle.” There will be an official proclamation from the city in recognition of all that Rotary does supporting Peace efforts here and around the world. Three of our BBRC Club members will be embarking on their own journeys to learn about Rotary through the District 5030 Rotary Academy. We wish Tom Miller, Ruben Ladlad and Martin Clavijo all the best in their participation of the Academy. It will help strengthen our club’s involvement in Rotary and allow for these three individuals to develop a deeper understanding of the Rotary cause. Remember – 3rd Thursday is THIS week!! 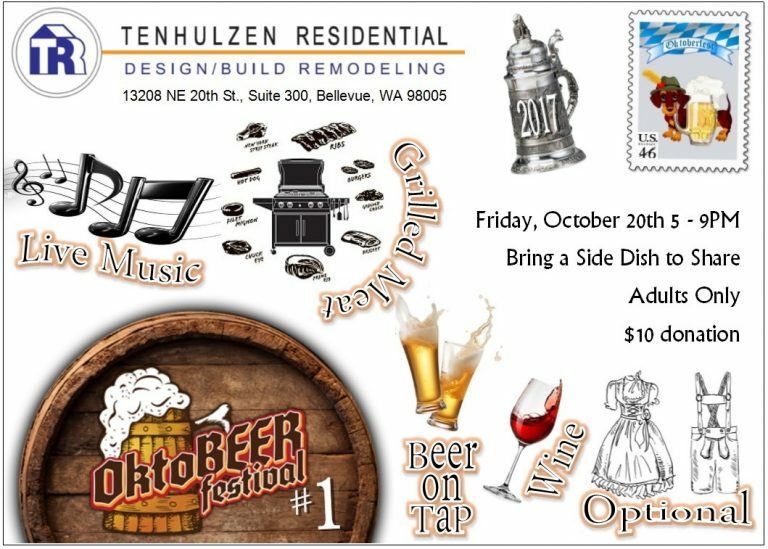 This year’s Oktoberfest will be hosted by Traci and Mike Tenhulzen! Mark your calendars for Friday, October 20th! Get details here! 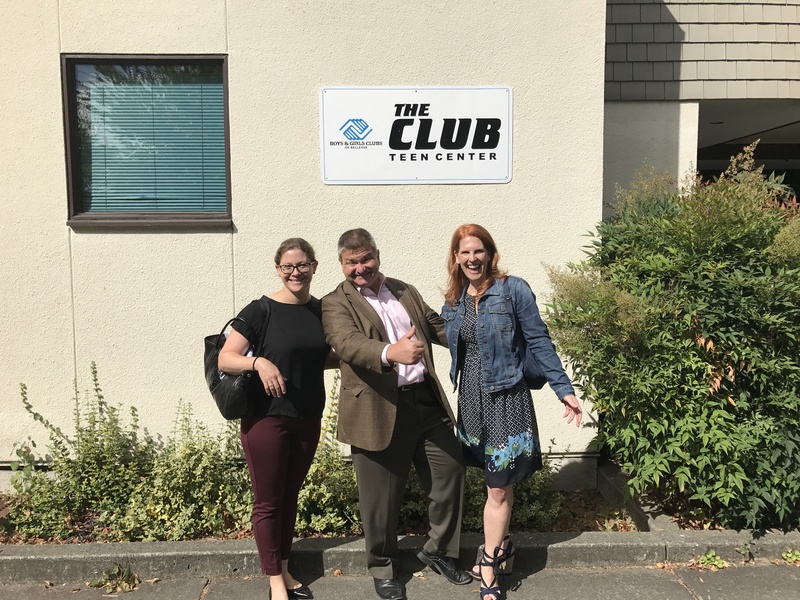 On Friday August 25th, a small group of BBRC Rotarians: Paul Osborn, Wendi Fischer, Laura Cosacchi and Alex Chehab, set off to tour the Teen Center that is part of the Boys and Girls Club of Bellevue. 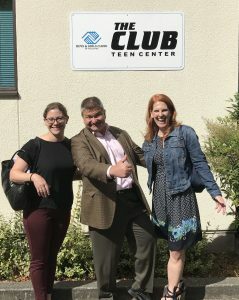 We were scouting for possible service projects to help Middle-Schoolers in Bellevue.